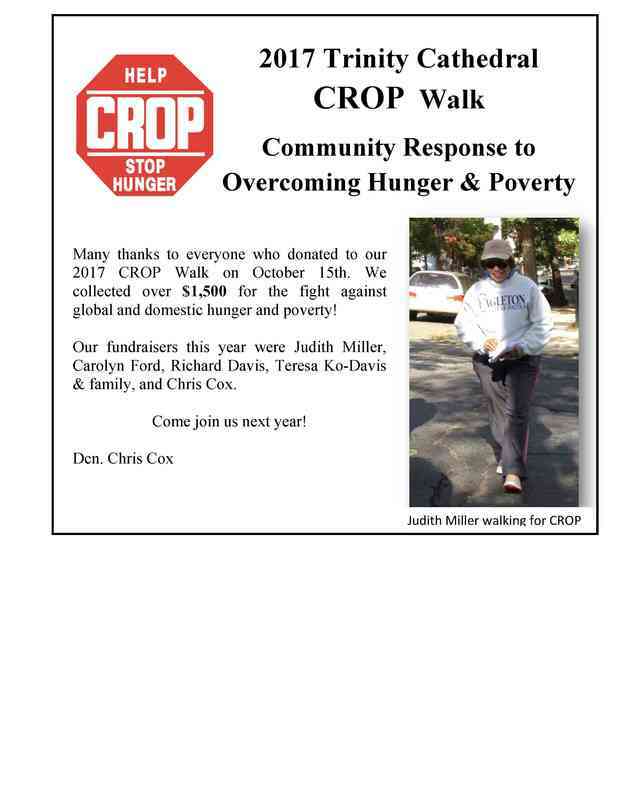 CROP, an acronym for "Communities Responding to Overcome Poverty," is the original charitable walking event in the United States which raises money to end hunger locally and abroad. 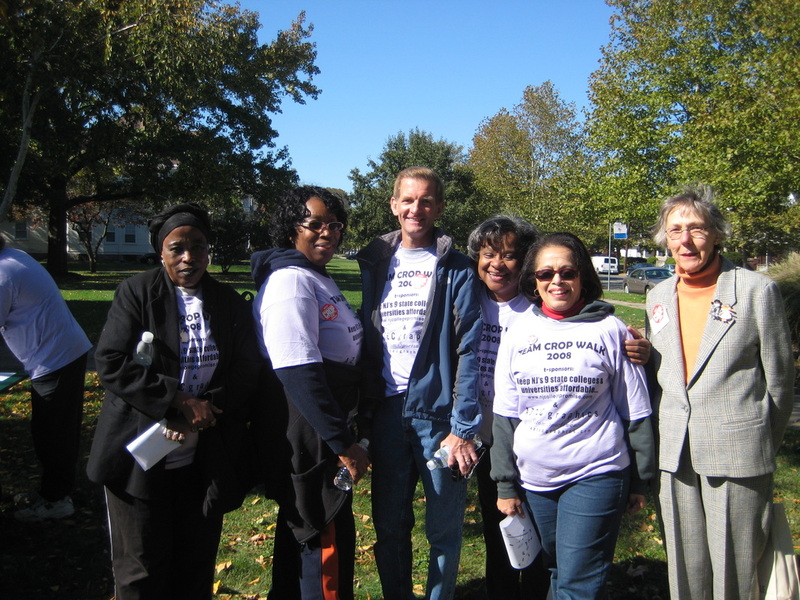 For several years, Trinity Cathedral, in collaboration with the Trenton Ecumenical Area Ministries (TEAM), has been the organizing venue for this annual October event. Thanks to the generous donations from area supporters, “walkers” from the cathedral have raised well-over $1,000 each year for this important cause.